Why I Recommend: Many people have “analysis paralysis.” They may have trouble moving forward and may stay “settled” because they have fear, are uncomfortable, or simply over-analyze before moving forward. This book will get you in the mindset of gaining momentum so that you can instead reap the benefits of gaining insights as you make significant progress in your endeavors. Warnings: For those who want to take action and move forward. It’s not a long text, but just long enough to get you in the spirit of moving forward. 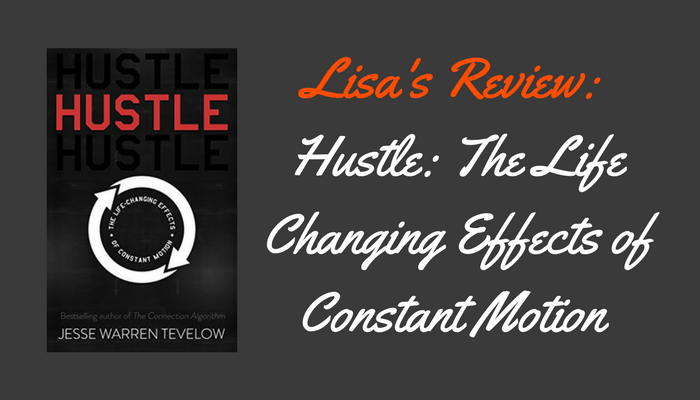 Author cites examples of well-known people who have demonstrated what “hustling” really means. There is value in creating momentum. 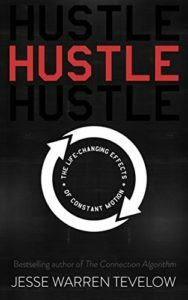 Chapter 2: Where Does Hustle Come From? Boils down to aversion to settling — you want more. Discusses how to improve confidence due to whom you surround yourself with. Author chronicles his progress on writing the book quickly as an example of hustling; his diary entries are insightful as he is faced with common issues we may be faced with as we try to hustle. Chapter 4: What Does Hustle Require? Discusses taking the leap from mindset to action. Manage your physical energy (this is something I addressed in my own book, Optimize Your Productivity). Emphasizes focus on a goal and disregard for forced convention. Expect detours but keep on hustling! How the author planned the book. Authors discusses how he organized himself, tracked process, and pursued the publishing process. Chapter 14: So You Want to Be a Hustler? Discusses steps you can take. Chapter 15: Who Are the Hustlers? Closing Comments: Overall, a good book to get the idea of moving forward ingrained in your mind. This does not mean rushing through projects without creating things of high-quality. The focus is more on the idea of moving forward at all, since many people will stay settled in their ways and they struggle to make progress. Want to get this book for free? You can get two free books when you start a free trial with Audible.